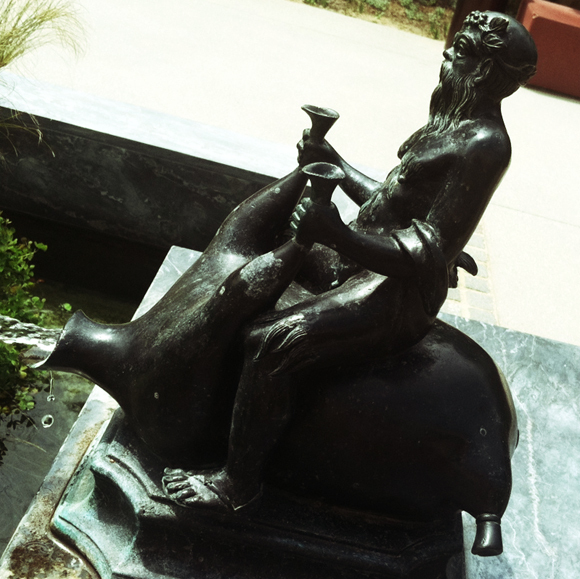 A highlight of the Getty Villa: this fountain fixture. At first glance, it looks like Beardy is riding a roast turkey. He’s not. It’s actually a supersized wineskin, eternally gushing into the fountain. Can someone work on getting me one for my birthday next year? And can it fly?